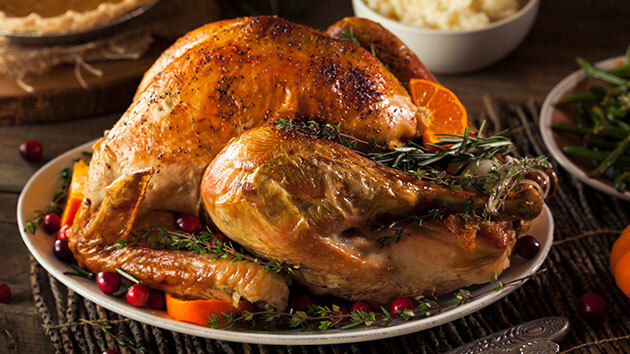 (NEW YORK) — Turkey, family time and football may all be associated with Thanksgiving Day, but those who have hosted guests for the holiday also know how stressful it can be to juggle a list of tasks to pull off the perfect gathering. AnyList lets users create shopping lists and manage recipes — letting hosts make sure they have every ingredient they need to cook Thanksgiving dinner and preventing those last-minute trips to grocery stores full of last-minute shoppers. The app also comes in handy for coordinating potluck style dinners since it allows users to share shopping lists, so hosts can have peace of mind that Aunt Carol is taking care of the mashed potatoes and gravy while Uncle Chuck has all of the ingredients for his famous pecan pie on his list. If home for the holidays is more like “home for the hostilities,” Table Plan can be a great way to navigate tricky family relationships. The app allows users to create seating charts for round, square and rectangular tables, helping to create a more peaceful and enjoyable Thanksgiving dining experience. The NFL’s app will help you keep up with all of the Thanksgiving football action in one place. It may even be a lifesaver if your host — dare we say it — doesn’t have a TV near the dinner table. While that second helping of turkey is digesting, get your Black Friday game plan ready with the Black Friday 2015 app. Consider this app the one-stop shop for keeping track of deals from your favorite stores. A wishlist function helps users make sure no bargain is forgotten.